Its no secret that my oldest is a STEM girl. She loves math so I am always looking for ways to foster and grow this love. We discovered this activity when she wanted to do math but not in her math book. I keep beads on hand for the kids. In this case I wrote various multiplication problems on SJ’s white board. She then used the beads to show what each problem looked like with the beads, Once she successfully answered the question on the board and with the beads she could move to the next problem. At one point both younger kids needed me so she answered all the questions and waited for me to check her work. This was a fun activity that allowed her to be creative as well as practice her classification skills. 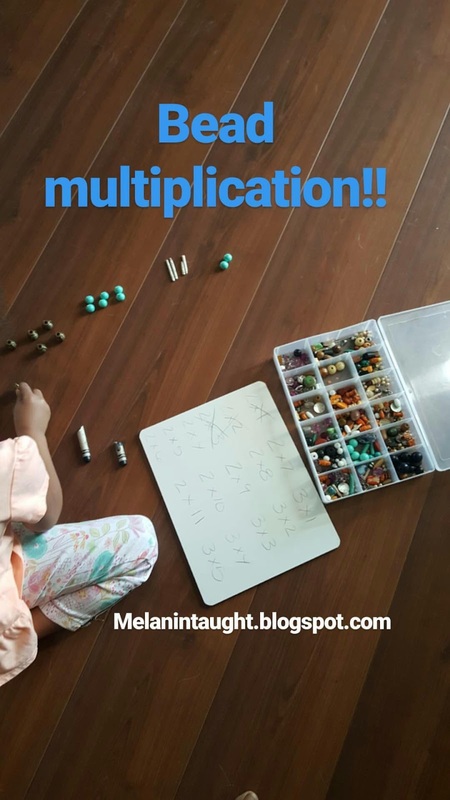 When starting this activity it is important that the student understand their one’s and two’s multiplication facts. These are to be understood but don’t have to be memorized. Once the student understands the task you are only limited by the amount of materials you have on hand. 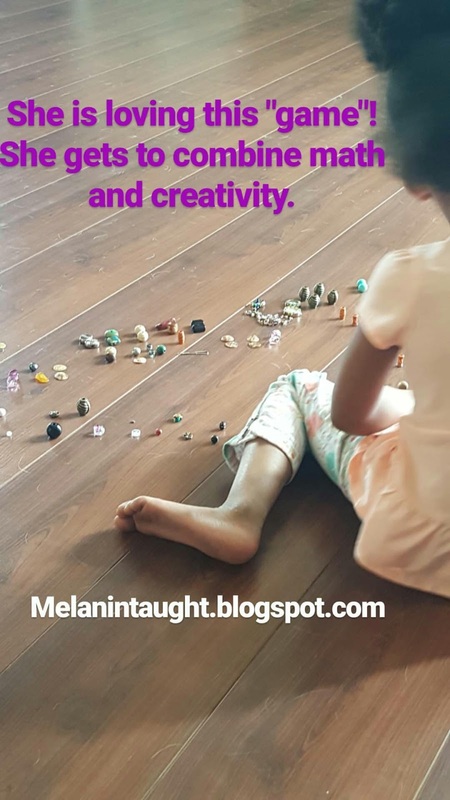 My five year old is very familiar with this activity but recently my four year old has shown he can show the multiplication problems he sees with the beads as well. This is why I homeschool. I love seeing what my children gravitate toward while its happening then discovering how I can help them be great!